When the snow starts to fall, a snowplow driver and his dog head out into the night to clear the roads. They do safety checks and get the hopper filled with salt and sand. Then they are off into the dark to clear the snow from the roads. Giant drifts are formed as they plow past while branches grow heavy with snow. When a car goes by too fast and ends up in the ditch, the plow calls dispatch for a tow for them. At the railroad tracks, the plow driver also stops, stepping out of the cab of his truck into into the hush of the night. The train goes by, creating a cloud of white. The driver heads home just as others start to wake and falls asleep in bed as the sun rises. Bruss captures the quiet beauty of a snowstorm as she tells about the night work of clearing the roads. She writes with a poetic touch, creating dramatic moments in the story like the train going past and the car skidding into the ditch, but also embracing the silent work of the plow and the hush of the storm. The illustrations are wonderful, offering looks at the big truck that will appeal to youngsters who love heavy machinery but also beautifully capturing the storm. One double-spread in particular has just the right light as the truck goes through town. Anyone living in a northern state will recognize that light and the quiet moment before the plow comes through. Ideal for winter reading, curl up with this one before being plowed out yourself. Appropriate for ages 3-5. Reviewed from copy provided by Scholastic. A little girl heads home from school as snow starts to fall. She is warmly dressed for the weather in a bright-red coat and a scarf over her face. She has a dog at home waiting eagerly for her return. There is also a pack of wolves nearby with one small wolf cub. The snow falls faster and both girl and cub become lost, finding one another in a small grove of trees. They can hear the howls of the wolves, so the girl picks up the cub and heads that direction. Along the way, they have to cross a river and face other animals. When they reach the wolves, the little girl returns the cub to the pack and heads home herself. She can hear her dog barking and see the lights of home, but becomes too cold and weak to continue. Luckily, she has made friends of the wolves. This is a beautiful story told in an almost wordless way with the only words in the form of howls of the wolves and barks of the dog. It is a book about selflessness and courage in the face of adversity. It is also about kindness and taking the time to save someone else even if it puts you into danger. The book is paced beautifully, taking time to create moments that underline the new connections and friendships being made as the girl displays her humanity. The images have to carry this wordless book and do so with an appealing use of panels that create a sense of brisk pace and adventure throughout. The illustrations are filled with just enough drama to make it clear that there is real danger in being out on a winter night. Still, the danger never seems to be the wolves themselves but the cold and the snow. A beautiful look at nature and wolves and the way that kindness can build bridges without words. Appropriate for ages 4-6. 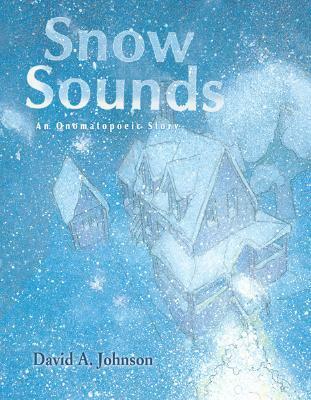 A companion book to Raindrops Roll, this book celebrates the wonder of snow. 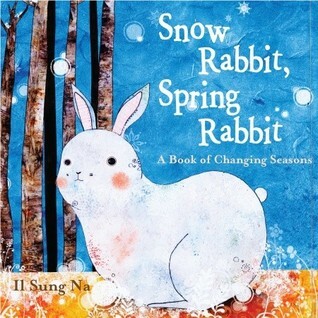 Combining lovely photography with a poem on the changing nature of snow, this picture book invites readers to see beyond the chill of winter and into the beauty of it. 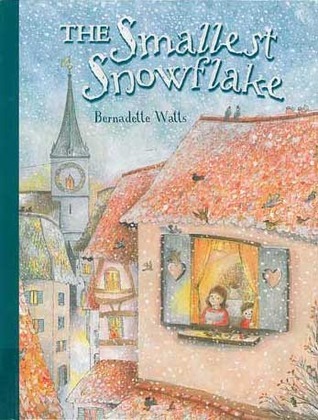 The book moves from freezing weather and gathering clouds to a full snowstorm where snowflakes land on a squirrel’s nose. The snow covers things and the wind blows. Then the sun returns, water starts to seep and icicles drip. But wait, there’s more snow on the way and another squirrel’s nose too. Sayre has a beautiful tone here, one of wonder and deep understanding. She writes more detailed information about snow and water in a note at the end that also includes a bibliography of more resources. The progression of the book is lovely, moving from one storm into a brief respite of sun to another storm, something that those of us in a cold climate will recognize. The poetry is a mix of playfulness and natural facts that is very appealing. Sayre’s photography is truly beautiful. She captures the motion of snow, the various way that the light hits it, the different forms it takes. She has images of animals and birds, allowing the reader to see snow from a natural point of view rather than a human one. 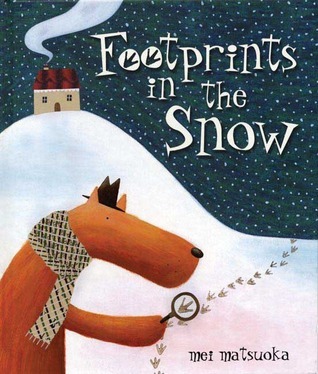 This is a wintry journey worth taking, perfect with a mug of cocoa. Appropriate for ages 3-5. 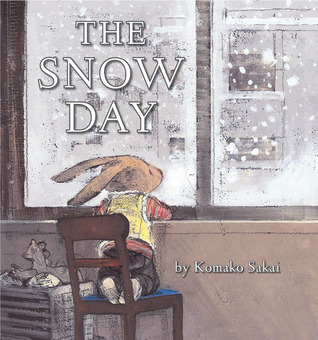 Head into the snow with this picture book that shows the joy of winter and the wonder of a snowy day. A child heads out into the snow after bundling up inside. They have a sled along and also explore the way the snow falls softly, the cold of the day, and the icicles hanging nearby. There is a climb to the top of the hill, then the rush of going so quickly, a tumble and the joy of landing softly at the bottom. The snowy day ends with hot chocolate inside, a perfect treat after the cold snow. 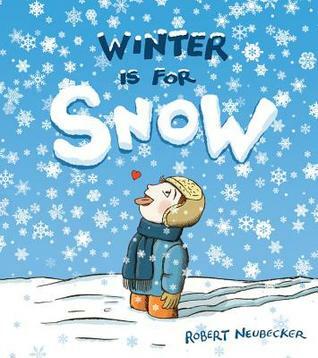 This very simple book is told from the youngster’s point of view. 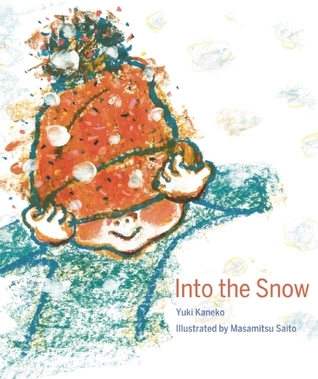 Kaneko uses different senses to let the child explore their world. 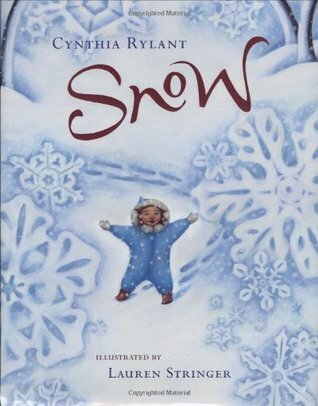 The snow is “soft” and “fluffy” while the icicle is “shiny and clear like glass.” It’s a book of exploration on one’s own, their parent only joining them to call them in at the end and offer the cocoa. The lack of gender for the child is also a great choice, allowing this to be any child’s adventure. 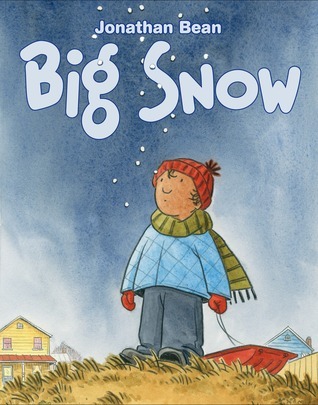 This is an empowering read for small children who will want their own explorations on a joyous snowy day. Saito’s illustrations are done in oil pastels, gouache, acrylic colors and color pencils. They have a delightful roughness that conveys the warmth of the child’s clothes and transformation created by the snow cover. The snow flakes are large and dense. They dance along with the colorful glitter on the child’s hat. 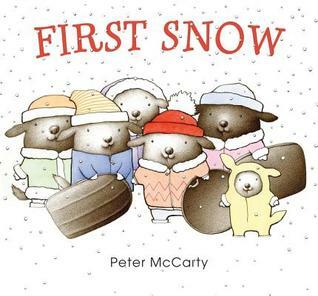 A great snowy day book for small children, this book evokes the feel of a snow day perfectly. Appropriate for ages 2-4.